With many countries assenting to and domesticating an expanding regime of international human rights treaties in their respective jurisdictions, human rights advocates emerged over the last few decades to monitor these standards, and to take on governments, corporations, and some of the most powerfully entrenched systems on earth. But this type of confrontational work does not come without costs, some of which are personal and very steep. Some human rights workers even commit suicide, losing their lives in the pursuit for justice, equality and non-discrimination. As an advocate working in a highly controversial field in Africa—the LGBT movement—I have experienced and witnessed first-hand the effects of chronic stress and trauma in the human rights field. Many of my colleagues, for example, have experienced depression, stress and fear when tabloids run stories about them and their work. Many other human rights workers exhibit multiple effects of trauma—from both direct or indirect trauma—such as insomnia, substance abuse (addiction), paranoia, isolation and hyper-vigilance—all of which are common symptoms of post-traumatic stress disorder (PTSD). As a result of what they’ve experienced or witnessed, some human rights workers even commit suicide, losing their lives in the pursuit for justice, equality and non-discrimination. Like other professionals who regularly deal with trauma (e.g., nurses, police officers, paramedics), mental health in advocates themselves is rarely discussed; yet, the World Health Organization suggests that raising awareness about mental health could improve access to care and overall outcomes. In Africa, this reluctance to seek help for emotional or psychological issues, as well as lack of awareness, is particularly acute. 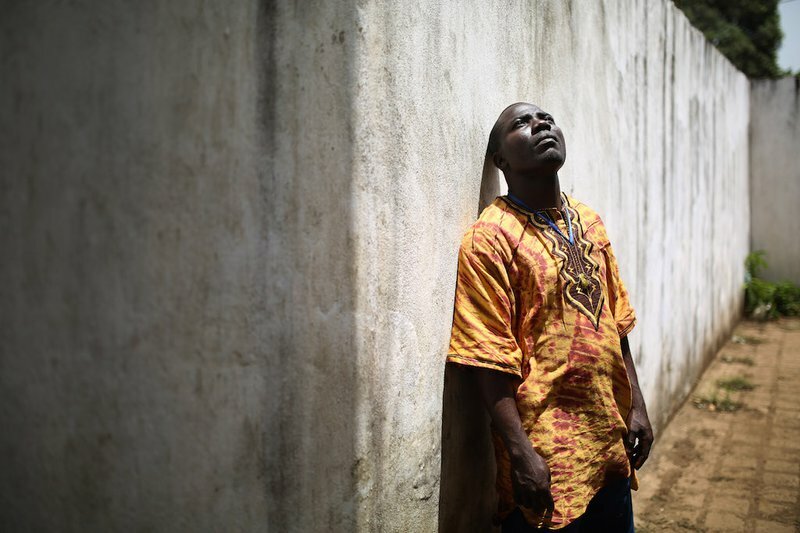 Many African states, such as Ghana, have been unable or unwilling to provide mental health services, opening the door for religiously-run, myth-based “prayer camps” for people with psychiatric problems. A recent estimate suggests that 75% of people in low- and middle-income countries do not get the mental health services that they need, suggesting that in sub-Saharan Africa, most people who are suffering with depression, anxiety, and other mental health issues do not have adequate access to proper care. Curable mental health problems are poorly managed or neglected even by governments. Working on controversial issues—such as LGBT rights—is particularly problematic in places like Uganda, where homosexuality is a crime. Not only do these activists face the possibility of criminal prosecution, as they can be penalized for promoting “unnatural offences” by the very nature of their work as human rights defenders (which in itself can cause severe anxiety), but they also run the risk of being accused of psychiatric issues if they themselves are homosexual or suspected of being homosexual. Frank Mugisha, the Executive Director of Sexual Minorities Uganda, notes: “LGBTI activism [in Uganda] causes a lot of paranoia within people thinking that they are on the wrong side of the law, that most activists wake up and feel they might be arrested…And so, the more negative thoughts in their minds cause mental health breakdown; not all brains can handle [all] situations at the same time”. Second, human rights workers can face a lack of social support, as they are often away from home, travelling to remote locations, or hiding because they are under threat. This is not a lifestyle that is conducive to building a strong support network; often people in this field rely primarily on other human rights activists, who are under the same stresses. In many African countries, this is even more acute if paranoia of prosecution or violence causes activists to isolate themselves to a small group of people they can trust. Trusting an unknown therapist or psychologist with issues that might be against the law in certain countries takes a significant leap of faith. The lack of trust and social support, such as peer to peer counseling or access to psychotherapists, means that many activists keep issues to themselves that could have been resolved through reducing social deprivation and/or opening up to fellow peers or a trained therapist. Third, a widespread lack of knowledge inhibits many human rights workers from seeking help. African human rights organizations often avoid discussing the mental health of advocates because they fear that their advice or advocacy might be ignored if their employees are unfairly labelled. Many advocates, in my experience, avoid seeking help because they are afraid of even their peers labelling them as “mad”. Overall, there seems to be a significant lack of knowledge in much of the region around the fact that seeing a psychologist is not just for the mentally ill. Self-denial and/or refusal to seek proper therapy among human rights defenders creates vulnerability to harm and mental breakdown. In a field where workers frequently experience trauma, burnout, and chronic stress, setting aside funds to proactively protect the mental health of workers would benefit the entire human rights movement. We must stop treating human rights workers as though they are expendable or invincible—we are all human after all, and activists who burn out are of no help to anyone.